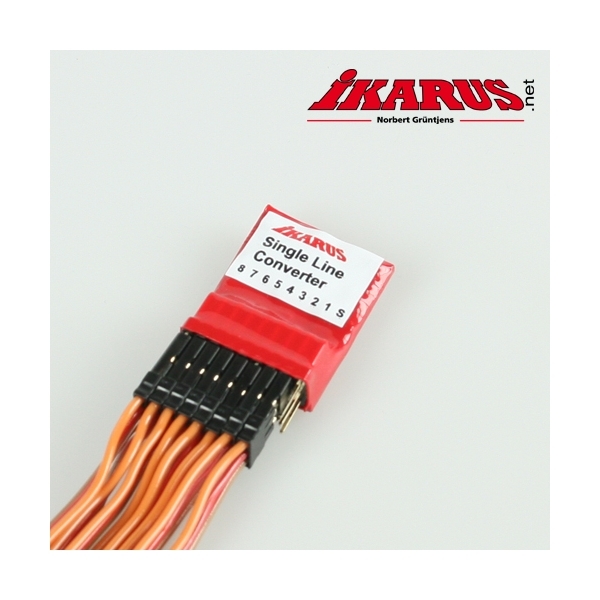 If you have an USB-Interface from IKARUS than you can use the Single-Line-Converter #7011050 to fly wireless. The SLC is usable for any 2.4 GHz or former MHz receiver. You can transmit up to 8 channels. 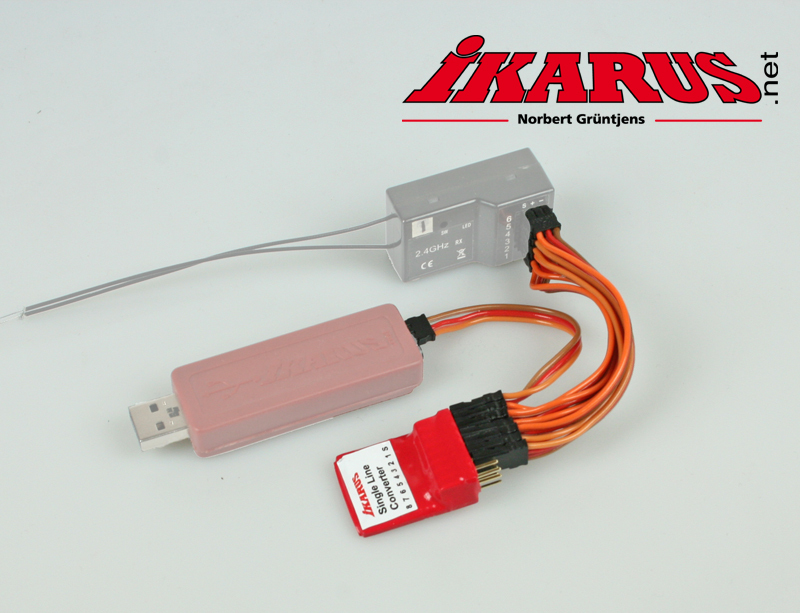 You can use all red, yellow or black IKARUS USB-Interfaces for this solution! Delivery content: Patchcables, Single Line Converter (ALS) and manual. 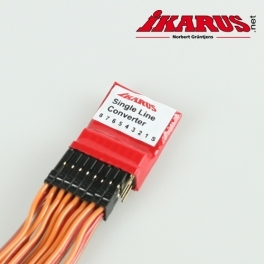 Connect your own receiver via the patch cables with the SLC and transmitt all channels via the single patch cable to the Interface. Take care that the orange wire shows to the mid!